Do you ever find yourself wondering why you do the things you do? Or think the way you think? Why you might circle back round that same pit of disaster mere moments after you were cruising a high road? Sometimes it’s the big things … but other times it’s the simple things in life. I can go from feeling like Supermom to Super Mom-fail in a matter of moments. Tell me I’m not the only one strutting my have-it-all-togetherness in the morning but wiping away tears of self-frustration by noon? Once upon a time I knew no other way of living. The radical ups and downs of feeling enough because, you see, I believed I was only as good as my accomplishments. Head nods, ‘atta girls, and accolades told me my identity was worthy. But the girl in me with a broken identity could never get enough of the accolades because the world we live in is unpredictable, hurting, and often very angry. It doesn’t take long for a young girl to believe she will never be enough. The effects are devastating and they keep us from living the life God wants us to live. But the story is never over because our God is a God of many chances. One who is persistent, patient, and ever faithful as waits for us to come to Him. 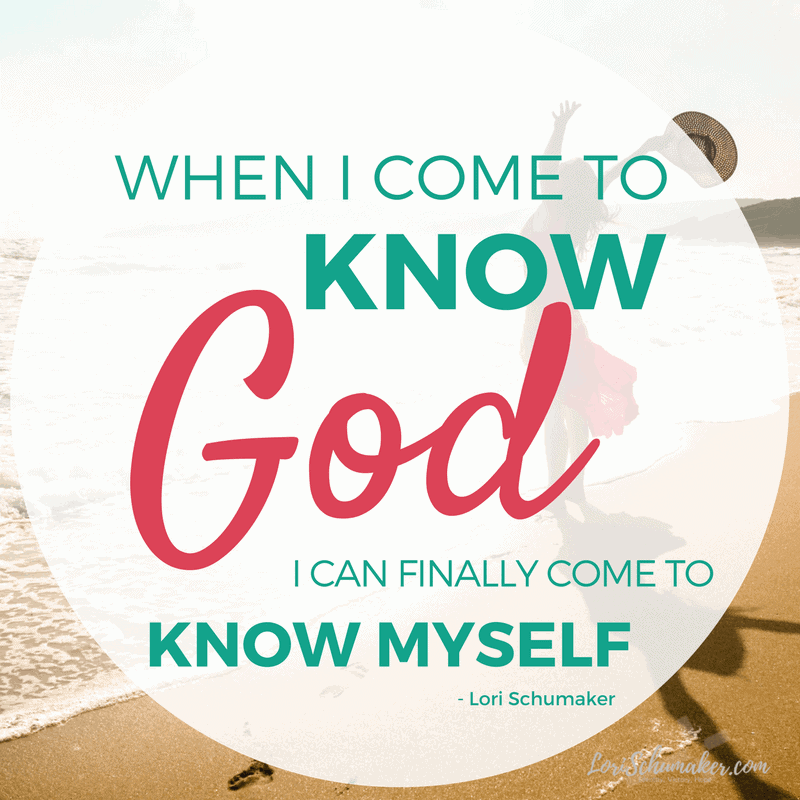 When I come to know God, I can finally come to know myself. Our belief system is the mechanism we use to make sense of the world around us. It’s what drives our thoughts, words, and actions. It is the set of filters we use to see not only our world, but it is the filter through which we see ourselves. Track with me here … When I know God as a loving God, I believe Him to love all His children. No matter where we are on the journey to those pearly gates, He loves us. That doesn’t mean, only those journeying well. It means ALL of us. If I believe He manifests this kind of unfailing love, I must also believe He grieves. Real love begets grief not hate. God’s love shuts out hate. He grieves those who don’t know Him, who walk away from Him, or choose to ignore His instruction. He doesn’t hate them. That fundamental belief system allows me to see the world through His lens of love. I see others as His children and I choose mercy. I choose to pray they turn to Him. But I do not hate them. And in turn, I choose to see myself as His child. One to whom I can give mercy. Someone I can love and forgive. Someone created wonderfully and with purpose. Independent of accolades and of the world’s valuation system. Free of comparison, only seeking to bear His image more each day. But this system hinges on one thing. It hinges on knowing God. The more I know God, the more I can love myself God’s way. Not the world’s way. And from experience, I promise you, loving ourselves God’s way is SO MUCH BETTER than loving ourselves the world’s way. Because, friends, the world’s way is unpredictable but God’s way is not. He is stable and His love unfailing. When I am firmly planted in Him, I’m not shaken. I am capable of living out my purpose and of being the best version of myself for those I love. I can lead healthy relationships and I can set fears and insecurities aside to pursue my calling. This is ours to live, but will we get to know Him? Will we learn about Him through the pages in our Bibles and with the words of our hearts poured out in prayer? 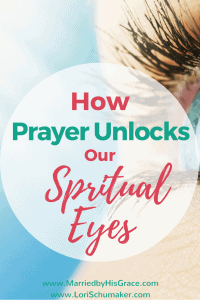 …Read more by walking with me to Married by His Grace where I’ll press on with the hard questions and give you 7 ways prayer will make you see your true identity. 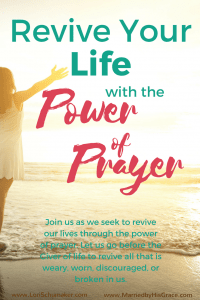 This is Part 2 of the Revive Your Life with the Power of Prayer Series. If you missed the first post by my dear friend and treasured prayer warrior, Carmen Brown, you can find it HERE! Or you can catch up on the series by clicking on the images below! 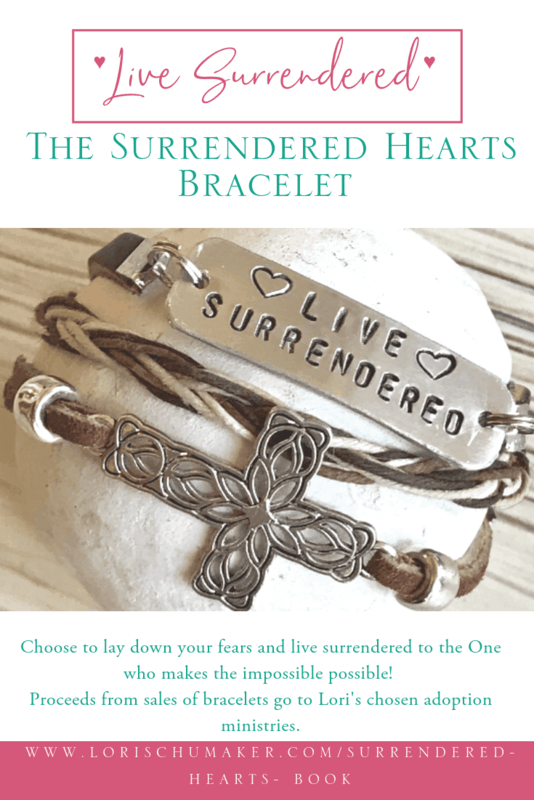 This week I share with you a beautiful post about Easter by Karen Woodall of Switchbacks. Her words are powerful and reminder clear … He is Risen! 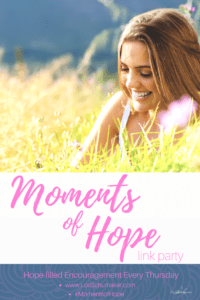 While you are there, please don’t forget to share some #MomentsofHope comment love ♥ And, Karen, please feel free to grab the Happily Featured Here button below! As I was reading your post Lori, the following old hymn kept playing through my mind “What a friend we have in Jesus!”…. Isn’t it comforting to know no matter the lies the world tries to tell us… We are beloved daughters of God & joint heirs with Jesus! Yes what a friend we have in Jesus! I love that hymn, Jennifer! And AMEN! It is such a comfort to know that truth! You are really speaking my language here, Lori! 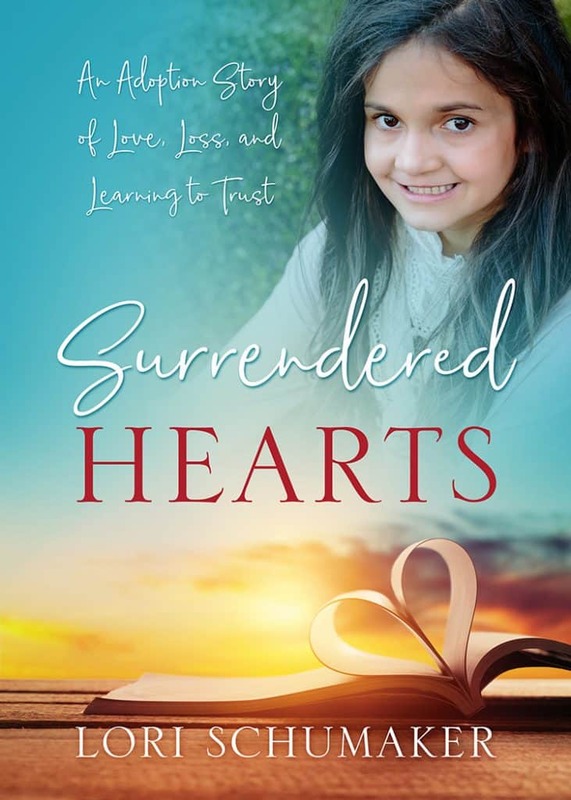 From Supermom to Supermom-fail in momemts…I can only relate too well.Yes, prayer will help us to see our true identity and see through that. Thank you for sharing that sweet truth. 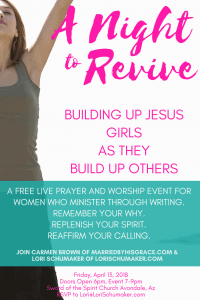 And how exciting – the live worship and prayer event! You certainly have a lot going on. I will be in prayer for you and Carmen. Thanks for hosting and have a blessed Good Friday and Ressurection Sunday! Thanks, Lori, for wrapping words around the hope and stability that we will find if we begin looking for ourselves in all the right places. Blessings to you and Carmen as you pray and prepare! Lori, it all comes back to knowing Him. The more fully we know Him, the more fully we will come to know ourselves. Such an encouraging post. May you and your family have a blessed Easter! What beautiful truth! I love how you point out seeing ourselves through God’s eyes doesn’t just change the way we view our purpose and life, but it also helps us to love others better. Thanks for these inspiring words! Thank you so much, Emily! Once we truly know Him and embrace His love, we just can’t help but love others better. 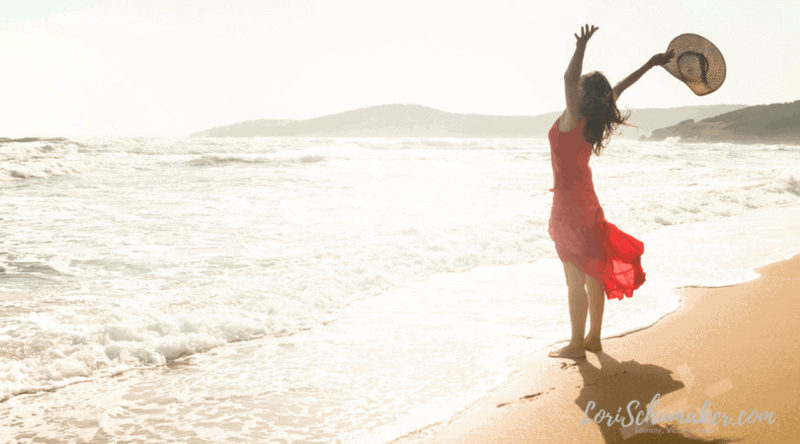 ♥ Thank you for joining me here and coming alongside me to share hope! Yes, yes, and yes, Maree! I have written a couple of posts about just that! Getting to know Jesus is so much more than knowing about Him. Our relationship cannot function fully until we know Him deeply. ♥ Thanks, friend. It is always such a joy to join in sharing hope with you! Thanks for hosting! Jesus is the only way this world is not the answer. We are nothing without Him. Amen! Thanks for joining us, Sherry!